Milky was in fact kind of a stupid toy. My sister had it when we were little, and once we'd run out of the pills that turn water into milk (if I'm remembering how it worked correctly), all we ended up doing was make it drink weird things like catchup. Goat comes with plastic garbage. I love it! I remember the aardvark. 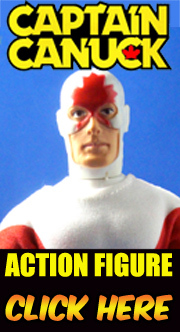 Weird toy. I did not want it all! 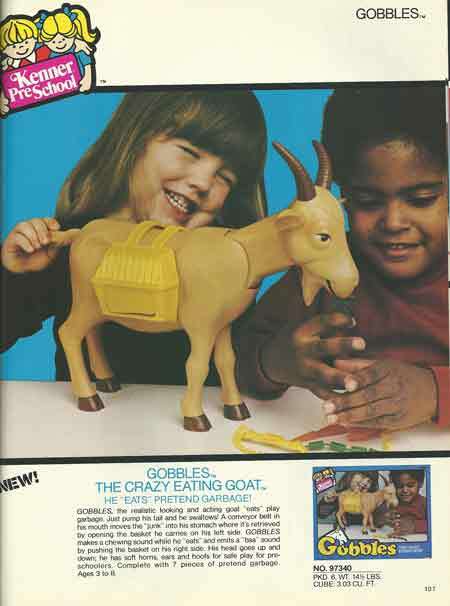 Oh good heavens, I had totally forgotten, but I OWNED GOBBLES THE GOAT! He was just as awesome as he looks. Gobbles may still be hiding in the attic, but I am afraid to brave the dangers therein to find out. I had Milky and Alvin. I don't remember much about Alvin, I think he ended up disappearing after a while, but Milky ended up living in a pasture with Barbie's horses. My mom took away the milk pills (I was about 3 and I remember her telling me I was too young to have it in the first place) so Milky would just occasionally drink some water and take a leak. It was still fun just for Barbie to have a cow! LOL!